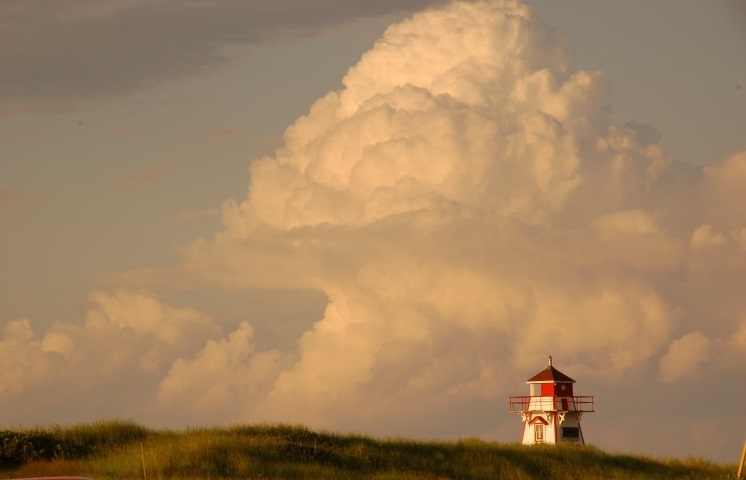 Whether you arrive to PEI by the Ferry or cross the Confederation bridge the first step is to head to Charlottetown. Once in Charlottetown, (maybe you can get supplies as in our area there is no subermarkets) follow the signs to the airport. When you have reached the airport you continue to take #15 hwy north (aprx.15 min.) until you reach the gates of the PEI Brackley - Stanhope National Park. Indicate to the clerk that you are staying at Goodview and there is no charge to enter. Stay to your right, you will pass a fishing village, Covehead Harbour on your right hand side - and the famous Covehed lighthouse on the left, we are just a short distance past the Harbour, 2nd on the right with the white picket fence at the entrance with the pastel flags.